At the Los Alamos National Laboratory in Los Alamos, New Mexico, scientists have developed a reusable polymer-based nanosponge. The nanosponge has nanometer-sized pores that can absorb and trap organic contaminants in water. The Nanosponge polymer can be used to clean up organic explosives and oil or organic chemical spills especially in water, while decreasing clean up costs associated with present technologies. The nanosponge is made up of polymeric building blocks that form cylindrical cages to trap organics. After the sponges are saturated with contaminants, they can be rinsed with ethanol to remove the contaminants and the nanosponge can then be reused. The polymer sponge has multiple applications. For example, a polymer designed as a membrane can be placed on a water faucet. The membrane can be used to treat and purify the water for drinking and cooking uses. One advantage of using polymers is that they are inexpensive to manufacture and can be used in a variety of water treatment systems. In the hope of making solar energy more useful and affordable, several scientists have been working on creating organic photovoltaic cells. Their goal is to replace the usual silicon (S) with readily available materials such as carbon (C). If they succeed, designers could one day integrate solar cells into everyday gadgets like iPods and cell phones. 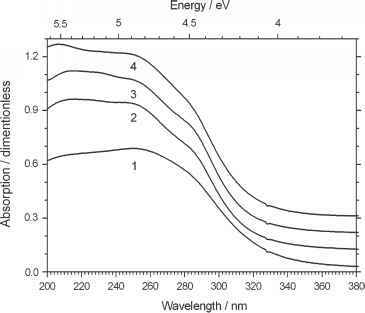 Even the energy absorbed by window tinting could be used to power a laptop, for example. One team of researchers at the University of California have developed an organic photovoltaic cell that uses a polymer, or plastic, material in a unique way. Like other organic solar cells, the plastic material in their prototype includes a polymer material. The material, composed of common chemicals, is sandwiched between conductive electrodes. Photons in the sunlight "knock" electrons from the polymer onto one of the electrodes. This causes an electrical imbalance where one electrode becomes positively charged while the other is negatively charged. When this happens an electrical current is created. 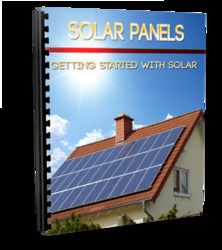 See Chapter 8 for more information about solar cells.